Sankt-Petersburg - World’s Leading Cultural City Destination 2018! Date: 24 June - 6 July 2012г. The World Heritage Committee composes representatives from 21 States Parties to the Convention Concerning the Protection of the World Cultural and Natural Heritage elected by the General Assembly of States Parties to the Convention. The forthcoming 36 th session of the Committee, an independent body of 21 States Parties to the 1972 World Heritage Convention , will be chaired by Eleonora Mitrofanova, Ambassador Permanent Delegate of the Russian Federation to UNESCO. For the first time in its 40-year history, members of the public and the media will be able to follow the debates of the Committee through live streaming on the internet. Three «mixed sites» are to be considered for inscription for their natural and cultural values: Israel, Sites of Human Evolution at Mount Carmel: The Nahal Me'arot / Wadi el-Mughara caves; Palau, Rock islands Southern Lagoon; Spain Plasencia-Monfrague-Trujillo: Mediterranean Landscape. During the session, the World Heritage Committee will examine progress in the conservation of the 35 properties on the List of World Heritage in Danger. Reports on the state of conservation of 105 properties already inscribed on the World Heritage List will also be reviewed by the Committee during the session. The World Heritage List, created under the terms of the 1972 Convention Concerning the Protection of the World Cultural and Natural Heritage numbers 936 properties forming part of the world's cultural and natural heritage which the World Heritage Committee considers to be of outstanding universal value. Sites inscribed include 725 cultural, 183 natural and 28 mixed properties in 153 States Parties . One-hundred-eighty-nine States Parties have ratified the World Heritage Convention to date. Moscow - Russia and the European Union may enact visa-free travel by 2014. Russian Permanent Representative to the European Union Vladimir Chizhov has recently said at the State Duma: "Russia stands for the soonest endorsement of a visa-free regime for short-term travels". Russia handed over a draft agreement on a visa-free regime for short-term trips at the Russia-EU summit in Rostov-on-Don in 2010 and then the sides discussed the issue closer at the Russia-EU summit in Brussels last December. 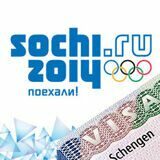 The Sochi Olympics in 2014 could be a right time to cancel the visa regime between Russia and the EU completely or at least for the duration of the games. The Scarlet Sails is one of the most grandiose and famous public event during the White Nights Festival. The tradition is highly popular for spectacular fireworks, numerous music concerts, and a impressive water-show including battle among tens of boats full of pirates on the waters of Neva River. The St. Petersburg International Economic Forum will once again provide a unique platform to gain a first-hand insight and engage in discussions and debates on issues affecting the global economy, in particular the increasing role that emerging economic powers are playing in shaping regional and global agendas. SPIEF 2012 will also be of particular interest to global business, government, and media leaders who are concerned with Russian political and economic affairs, with the Forum coming shortly after the newly elected Presidential administration takes office. SPIEF 2012 will provide a unique opportunity to engage with the incoming government as the country takes steps to reinforce its reform agenda in the post-election period.